Are you waiting for Spring Collection 2016? If yes then your wait is over as recently the Pret Spring Collection 2016 by Khaadi has been introduced. 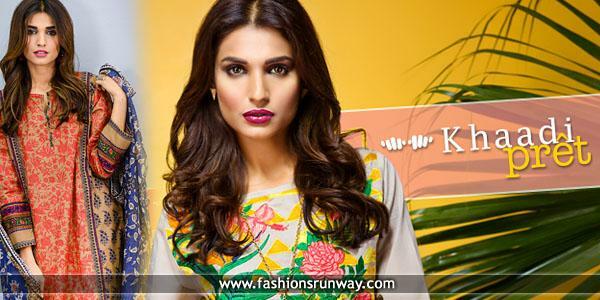 You would be happy to know that Khaadi has focused on both eastern and western style kurtas. 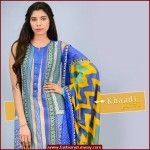 Majority of the girls prefer to wear clothes of Khaadi because this fashion brand has never compromised on its quality. 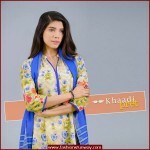 You can easily get high-quality dresses from Khaadi new collection in each season as it keeps on launching new collection before the start of every season. Spring season will soon be started and females will need new dresses that can be worn in that season. Young and teenage girls love to wear kurtas together with cigarette pants in both formal and casual gatherings. Ladies can get the following 6 types of kurtas from the Pret Spring Collection 2016. All these kurtas are manufactured by using pure cotton stuff. The design of each of these kurtas is unique and stylish. You would not be able to find these designs from any other clothing brand. The price range of Khaadi spring collection 2016 is not too high or low. These kurtas ranges between 1800 to 4000 Pakistani rupees. You can select any kurta by keeping in view your budget. 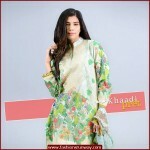 You don’t need to worry about the quality of these kurtas as Khaadi is renowned for its high quality clothing. Females living inside Pakistan can get these kurtas from any outlet of Khaadi. On the other hand, females outside Pakistan can book their online order from the official website of Khaadi. So, hurry up girls and ladies, as your desired eastern and western pret spring collection 2016 is now available on all outlets of Khaadi. Check below here Khaadi clothing brand new ready to wear casual and semi-formal collection 2016 for girls.